For many stakeholders in the insurance playing field, embracing technology remains a challenge that is often overlooked despite how crucial it is. 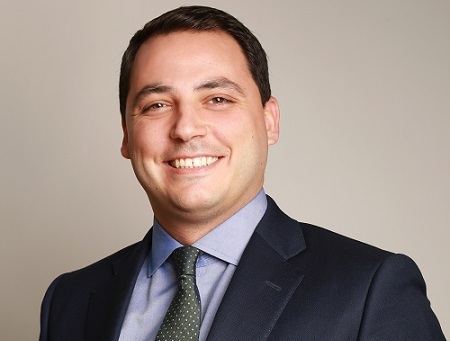 Allianz Global Corporate & Specialty head of programs business in North America Dogan Kaleli (pictured) believes that many insurance groups make a huge lapse by underestimating how important technological adoption is in satisfying consumers’ ever-evolving needs. In this interview with Insurance Business, Kaleli shares how Allianz gave him an avenue to explore his own ideas and grab opportunities which led to the creation of Connexa. He also tackles how insurtech will continue to play a huge role in the development of the insurance industry in the coming years. Kaleli: Growing up in Istanbul, Turkey, I was drawn to Marmara University because of its actuarial science program. Luckily for me, the degree was “Actuarial Science & Risk Management” and it was the risk management part of the program that got my attention. After graduating, I joined Allianz Turkey as a property underwriter before being transferred to Allianz Brazil where I spent the next four years leading multiple teams and departments in underwriting and risk management. IB: What do you love the most about your current organization? What makes it different from other firms in the same space? Kaleli: The opportunities that I’ve been afforded in my current role are incredible. Having the flexibility to try new things and chase innovative ideas rather than following a routine task list is what makes Allianz an ideal employer. In my current role, the “playground”— as I like to call it — is even bigger because we are committed to growing our programs business and this market is open to new products and scalable growth opportunities. IB: Please tell us briefly about your role in the company. Kaleli: As the head of programs business, North America, I work with leaders in all lines of business as well as underwriters, sales teams, claims departments, and many other groups to identify, manage and grow the programs book in North America. This position is very strategic in nature as it drives the process behind making sure we remain innovative and forward thinking. Outside of my interactions within Allianz, I work directly with program administrators and insurtech startups looking to partner with Allianz. IB: What has been your greatest achievement so far? Kaleli: 2018 has just been an incredible year in terms of what we were able to accomplish on the programs front here at Allianz. Setting up the framework, from operational processes to innovation and growth projects and finding insurtech partners has been incredible. But if you ask me again this time next year, I’m sure I’d have a different answer. IB: What has been the biggest obstacle you have had to overcome so far as an insurance professional and what did you do to conquer it? Kaleli: I tend to over-simplify things and focus solely on solutions, so I don’t have a great answer to this question. I’ve led so many large teams and projects throughout my career that of course, conflict has arisen. With the teams I’ve led, sometimes we’ve achieved our goal, sometimes we haven’t and sometimes we’ve run into crises both reputational and financial. These things all come with the job, and I don’t see them as obstacles, but rather as challenges. If I can influence the outcome or help provide a solution, I will do everything in my power to make it so - but if it’s totally out of my control? Why bother. IB: What do you think are the most challenging issues facing the insurance industry, particularly in terms of tech adoption? Kaleli: There’s no question that the insurance industry hasn’t been the quickest to adopt new technologies, but things are changing. Big companies, Allianz included, are making major investments with the understanding that customer expectations and needs have changed. Very simply, customers want things done quickly, correctly, and easily. The list of new technologies the industry should focus on is long, including; artificial intelligence (AI), blockchain and big data. The way I see it, as an industry, we need to get more “experimental.” We need to identify the start-ups that have the tech knowledge that we in the insurance industry are lacking – those are the best opportunities to disrupt the industry and boost the customer experience. If the industry doesn’t get more proactive someone else will do it for them and it will be a huge, missed opportunity. IB: Tell us about Connexa? What was your vision when you co-founded this start-up? Kaleli: Entrepreneurship is in my DNA. Ask my colleagues, friends, family and they’ll tell you that I’ve always been this way. Connexa was my first start-up, and is a private alumni management platform for business schools and universities where the alumni can manage and monetize their learning community. My partners and I work as a “start-up studio” helping other entrepreneurs plan and launch their businesses. “Start-up Grind” which partners with Google and is widely recognized as one of the largest start-up communities, selected Connexa out of more than 10,000 submissions as one of the Top 50 start-ups around the world. My vision is simple: connect, enable and create business opportunities for everyone. IB: What do you think is your biggest takeaway from actively participating in the Hamdi Ulukaya Initiative? Kaleli: Let me start by saying that the program and what Mr. Ulukaya is doing is absolutely incredible. I had the honor of connecting with Hamdi at the 2017 Start-up Grind Conference after his session for entrepreneurs, and he is extremely humble and down to earth. His initiative, which partners with NYU, brings about 25 young entrepreneurs from Turkey to New York City giving them business training start-up support, and pairing them with a mentor. As a mentor in the program, I’m working with an extremely bright and talented young man who is creating an education model for 0- to 6-year-olds and their parents. It’s one of the greatest honors of my life working with him, and I cannot wait to see what he accomplishes going forward. IB: What’s the best piece of advice you’ve received in your career? Kaleli: It might sound simple, but it still rings true after all these years: Focus on the pure absolute problem, and try to solve it. Forget about the “politics” around it, just solve the problem. Another one of my favorites is: Every problem is an opportunity for someone! Kaleli: I’m pretty open and outgoing – but one thing that might not be clear from first glance is that I’ve been playing volleyball since I was 11 years old. It’s one of my biggest passions outside of what I do for a living. IB: What are your other passions or hobbies outside insurance? Kaleli: My biggest passion in life is family, and I work every day to be the best son and husband possible. A hobby of mine, though it may sound silly, is getting things done! Be it a home improvement project, or closing a business deal – the feeling of identifying a problem, finding solutions and watching it come to fruition is one of the best in the world. As for hobbies, outside of volleyball, once I moved to the US, I got into snowboarding. It’s one of the most freeing feelings I’ve ever had.